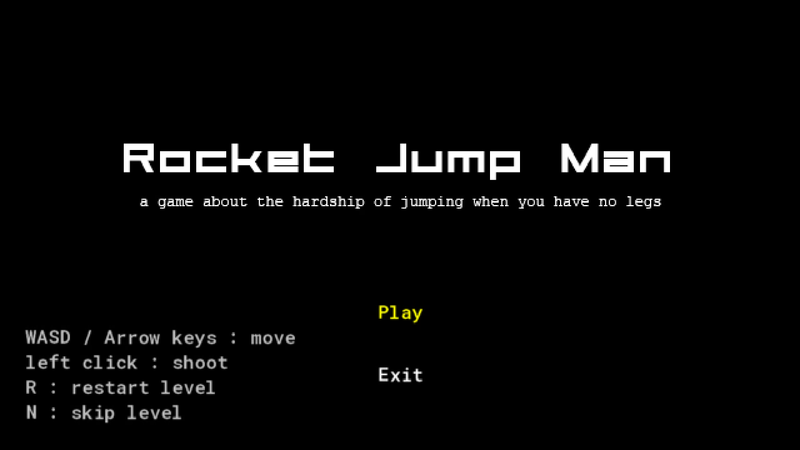 This is a platformer game, but you don't have a jump button. So what should you do ? 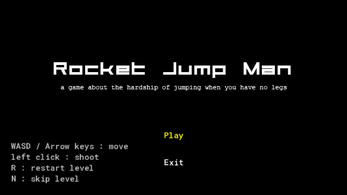 Why, shoot rockets at your feet to send yourself flying through the air of course ! Watch out though, as you only have a limited amount of ammo (and also health, but that's just a detail, i mean what's the worse that could happen ?). Plan your moves carefully to navigate each level, shoot enemies, grab refills, and make your way to the exit !